Our story. From dream, to reality. In 1955, Raymond Jerousek Sr., his wife, and three children moved from Cleveland to a farm in the Wellington area to build a simpler life away from the city where they could farm and raise the family in a rural setting. 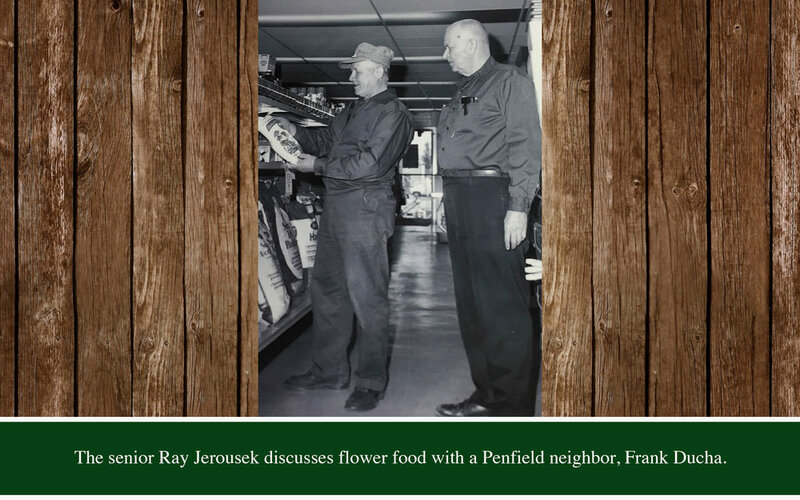 In 1960, Ray Sr. quit his job at Swift Meats in Cleveland and used the family’s savings to purchase the Farm and Dairy hardware store with his sons, Ray Jr. and Jim, and quickly focused on customer service and community stewardship. The early years were a struggle as competition and economic forces made managing the business very challenging. There were times when there just weren’t enough profits to pay Ray Jr. and Jim, so both of the boys worked part-time jobs in addition to working at the Farm and Dairy. 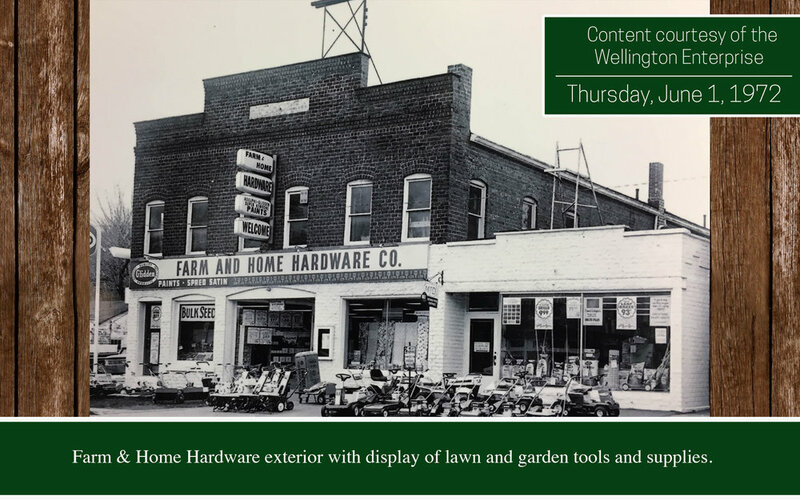 By the early 70s things had significantly improved and in 1973 the family decided to change the name of the store to Farm and Home Hardware in order to better fit their customer base. By this time both Ray Jr. and Jim were managing the store full-time, as sales had increased enough to support a larger employee base. 1985 brought an opportunity to expand operations as Brumfield’s Grocery store decided to build a new facility north of Wellington thus vacating their current facility down town. This building was purchased and after significant renovations became Farm and Home’s new retail location. The move provided the store with double the sales space along with significant room to grow – and that’s precisely what Farm and Home did over the next few years. In 1990, another opportunity to expand presented itself with a vacancy in the Ben Franklin building just west of Farm and Home’s current location. Due to the significant amount of growth that the store had experienced over the past five years, the building that was just purchased a short time ago was already bursting at the seams. With the purchase of the Ben Franklin location, Farm and Home’s retail floor space grew to 30,000 sq. ft., which allowed them to expand their offering once again. Over the next 20 years, Farm and Home continued to expand the products and services that it provided to the community. Bulk materials, live green goods, an expanded rental department and lumber are just some of the more recent additions to the product line. Despite that, the products on the shelves are only a small part of what Farm and Home strives to offer its customers. It’s the personal service, the experience, the know-how, and the general “How can we help?” attitude that everyone who works with the company displays that separates Farm and Home from their competition. At its core, Farm and Home’s associates make the business what it is and are the reason why the store has been able to maintain its growth. Ray Jr.’s son, Scott, has since taken over the business that has been in the family since 1960. Though many things have changed in that time, he continues to strive to manage Farm and Home by the same core principles that his grandfather, father, and uncle built the business on: customer service and community stewardship.